20% off Video Marketing Strategy for Hurricane web visitors this month! Use code VMK20 on the Kogan Page website. 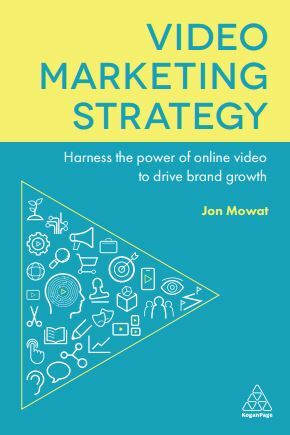 After months of hiding himself away, our MD, Jon Mowat has just released his new book, Video Marketing Strategy, into the world. It’s here to guide marketing teams through the new video-first communications environment. Video is the most valuable tool that marketers have. An insightful video marketing strategy will get results for your brand, whether the aim is to raise awareness, provide a short-term sales lift, drive traffic, or deliver higher ROI. Get your copy of Video Marketing Strategy here. Video Marketing Strategy reveals Jon Mowat’s magic formula for creating engaging, effective content and integrating it into a wider marketing strategy. This new book explores both the theory and practice of video marketing to enable readers to create content that will cut through the marketplace, increase website visits and deliver measurable results. It’s packed with examples from successful global video marketing campaigns and interviews with leading industry practitioners. Want to explore the book before you buy? Download a sample chapter now. If you’d rather get your hands on your own copy, it’s available to buy here. Video Marketing Strategy is available now. Get 20% off this month! Use code VMK20 on the Kogan Page website.